Boss Tony Mowbray has backed Adam Armstrong to be an important player for Blackburn in the Championship after he rejoined the club on a permanent deal. The 21-year-old striker scored nine goals in 21 appearances to help Rovers secure automatic promotion from League One last term after arriving on loan from Newcastle in January. 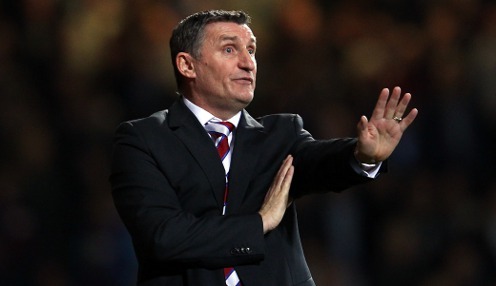 And Mowbray, who also took Armstrong on loan to Coventry City during his time in charge of the Sky Blues, is in no doubt that he will be able to make the step up to the Championship. Speaking after the youngster penned a four-year contract at Ewood Park, Mowbray told iFollow Rovers: "I'm delighted as I think Adam proved what an important player he can be for us with the important goals he scored. The threat he carried, the directness, the pace, he has some great attributes. "I played him out wide at times last season but he's mainly a centre forward so we'll see what we do with Adam this season and beyond. "He's a good lad who fits into the group. Everyone loves his character around the building. I'm looking forward to the next few years and seeing him grow up as a footballer and as a man with lots of goals and loads of end product." Armstrong, who becomes Rovers' fourth signing of the summer after Joe Rothwell, Jacob Davenport and Kasey Palmer, added: "I enjoyed my time here last season and it was a no-brainer to come back. "I'm delighted as I think Adam proved what an important player he can be for us with the important goals he scored. "I've been at Newcastle all my life, but I'm sure I'll settle in quickly. "It's nice to feel wanted and it's nice to feel at home, so it was a pretty easy decision in the end." Armstrong is set to make his first appearance for Rovers this season in Saturday's visit of Millwall which they are 8/5 to win. The Lions are priced at 21/10 to win and the draw is available at 21/10.